Last Sunday I found this short-sleeved sweater at Nordstrom Rack in Pasadena and had to buy it in this color and navy blue. It’s kind of hard to tell from the photo, but it has a cute fluffy texture and a sort of scalloped pattern. It’s from the Nordstrom’s Frenchi label, and I always like anything Frenchi or from that label Susina they sometimes carry. These fuzzy leopard-print shoes I hadn’t worn before either...but they are SO comfortable. 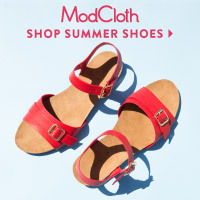 I don’t own many “nice” shoes (as in shoes that cost more than $25 new), but I looked up the brand of these shoes online and it’s a Spanish company that sells shoes for the equivalent of about US$180 per pair, so I guess they’re pretty high quality. I found them at Buffalo Exchange in Santa Monica when I went there with Natasha one day after work. 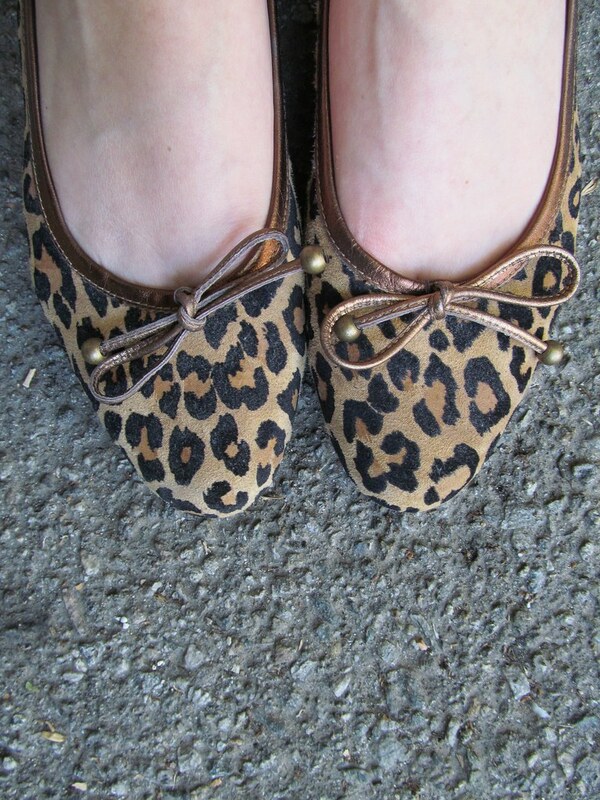 Your leopard shoes are awesome! They're a bazillion times better because they're comfortable too. You can't beat a nice comfy and cute pair of shoes.